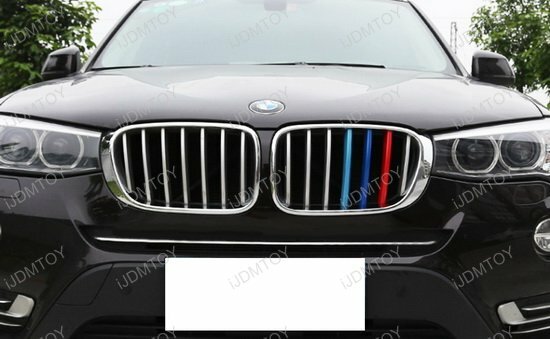 Will ONLY fit the BMW models listed in the title. WILL NOT FIT any other BMW model unless otherwise listed! 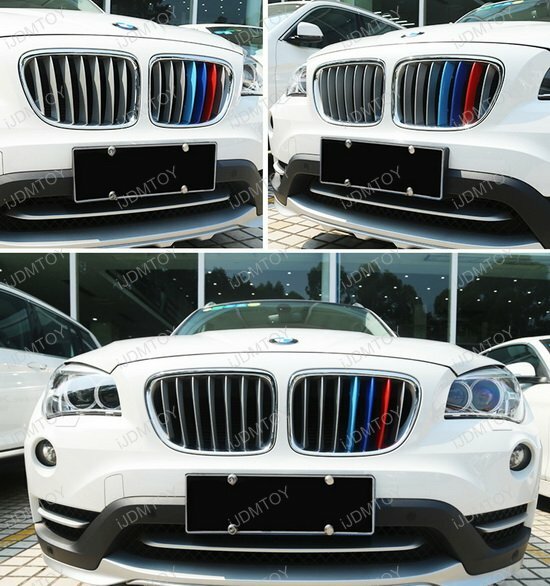 Will ONLY fit the BMW models listed in the title with no modification required. WILL NOT FIT any other BMW model unless otherwise listed! 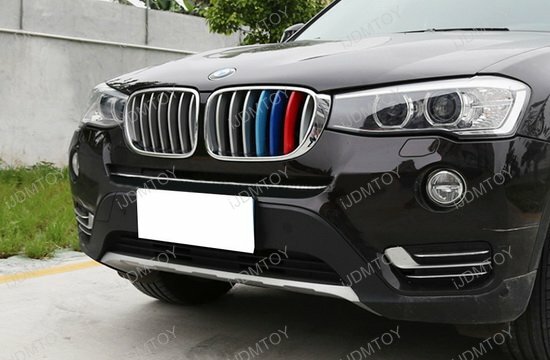 Q: How do I install this BMW grille insert trims? 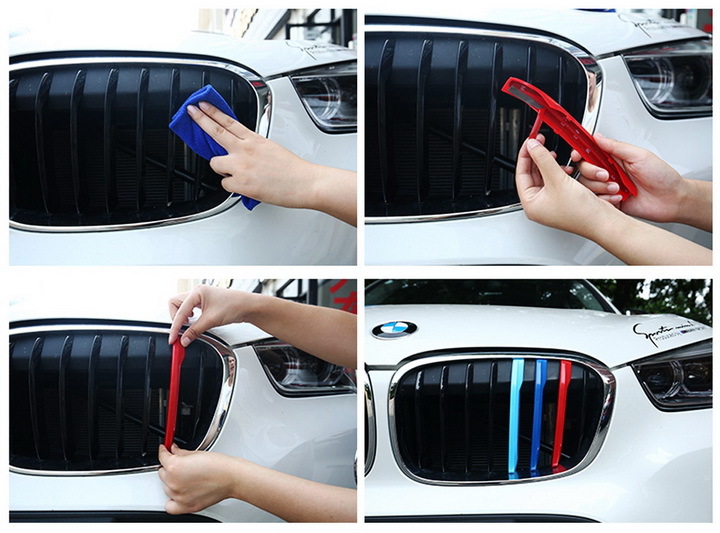 A: First you'll need to make sure your grille is clean. Take a washcloth and wipe off any dirt or debris. 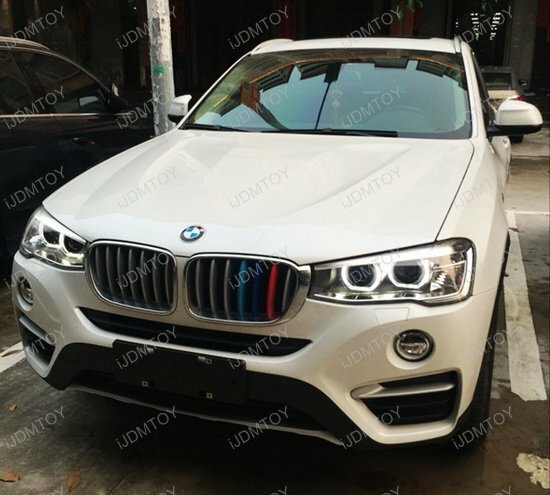 The picture below uses the BMW X1 as reference, but the steps will still apply. 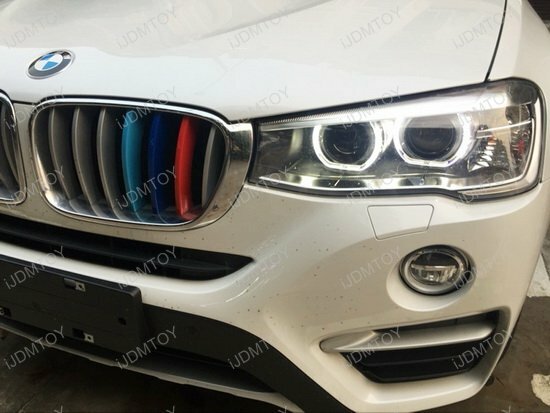 Starting from the side closest to the headlight, count to the 2nd grille beam location. This is where you will be inserting the red grille trim. Then insert the dark blue and light blue after that. 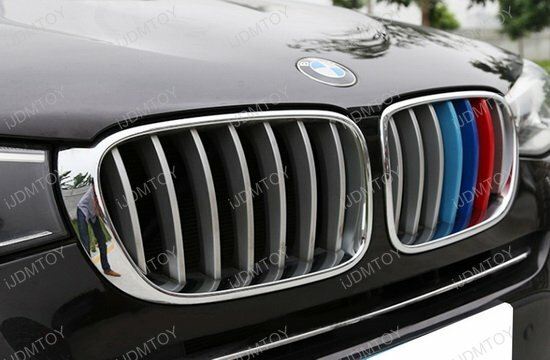 Q:: Why is there a white mark on my grille insert trim? 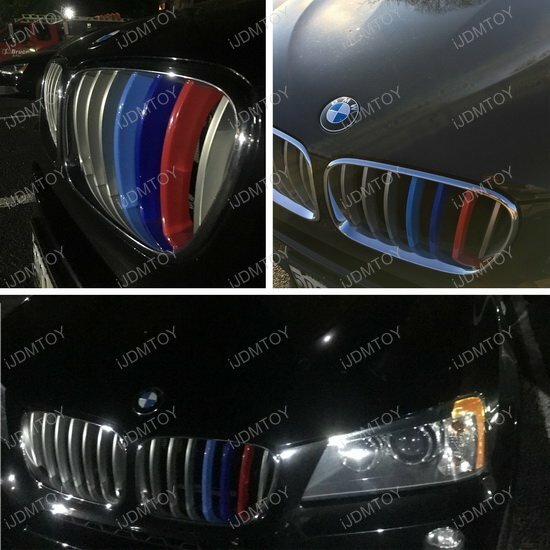 A: The M-colored grille insert trims are made of ABS plastic, which is prone to slight bending (creating the white blemish) and hairline scratches during shipping and handling. However, this imperfection only occurs on the flat surface of your grille insert trims and will not show up on the curved ends. 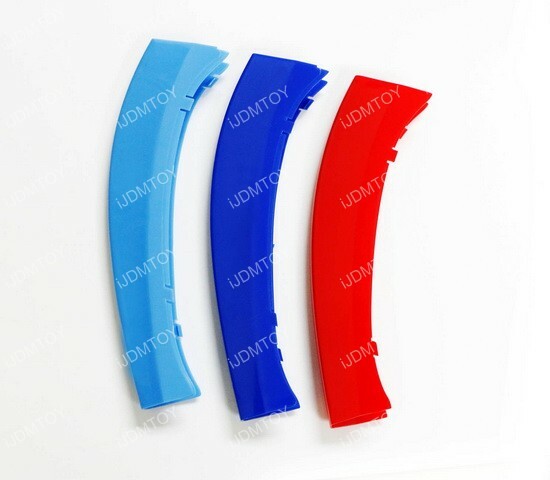 The white mark on your grille insert trims will not affect its appearance. If you still find there to be an issue, contact our customer service department to see how we can help you. 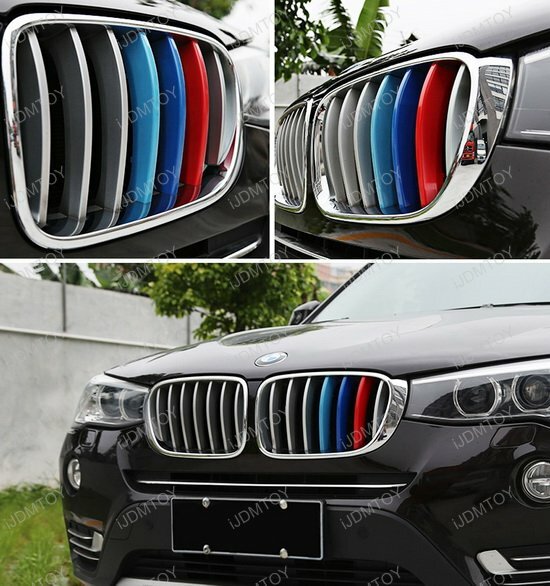 This listing features one set of M-sport heritage stripes in the BMW Motorsport colors for the 2011-2017 BMW F25 X3 and 2014-2017 BMW F26 X4. 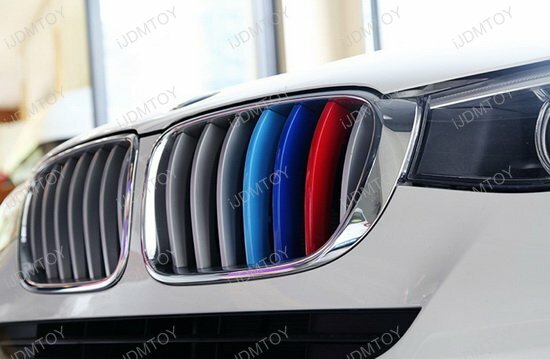 This M-stripe grille is made from ABS plastic that does not fade and is easy to install in just a few minutes. 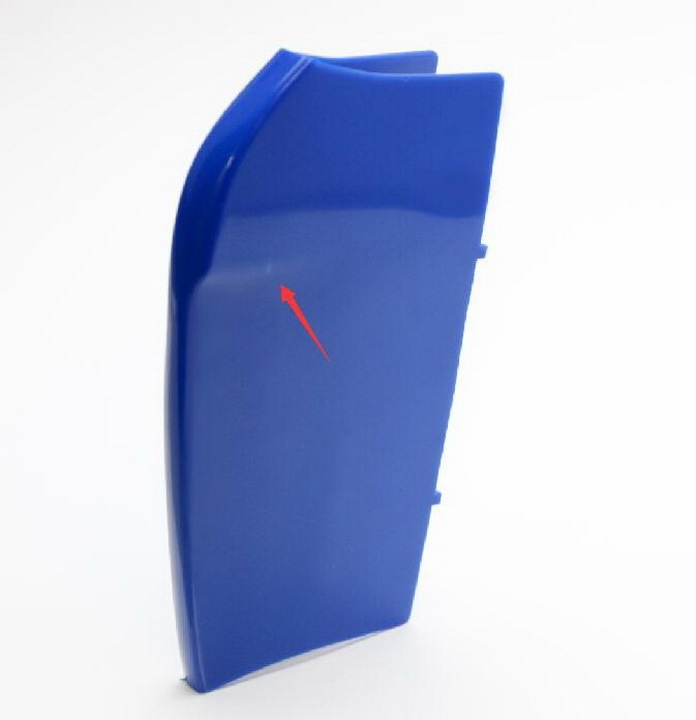 Start at the end closest to the headlight and simply clip on the Mugelo Red insert at the third grille location and then clip on the Daytona Violet and Avus Blue insert respectively. 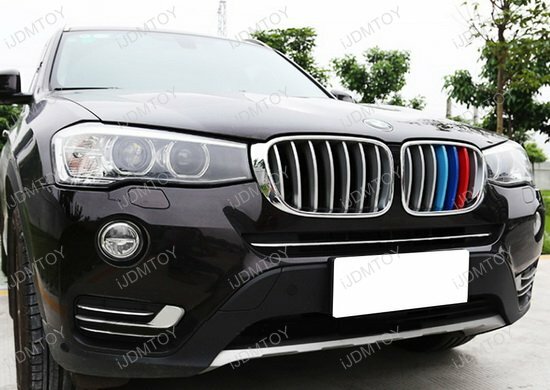 This M-sport heritage grille insert is a great complement to your BMW F25 X3 F26 X4 to show the love you have for the Bimmer brand to make it a must-have upgrade. 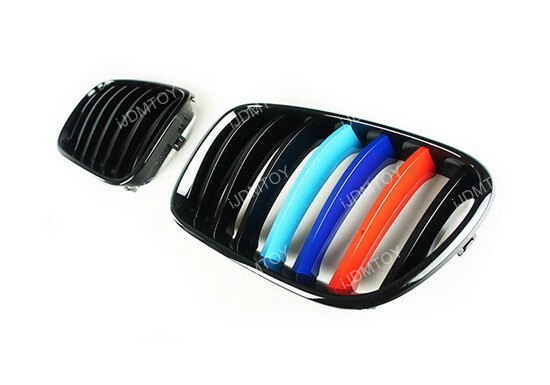 The grille insert trim is durable and long-lasting, just like the legendary BMW. NOTE: Will ONLY fit the BMW models listed in the title with no modification required. WILL NOT FIT any other BMW model unless otherwise listed! 5 of 5 Total Reviews: 8 Write a review. Looks great! 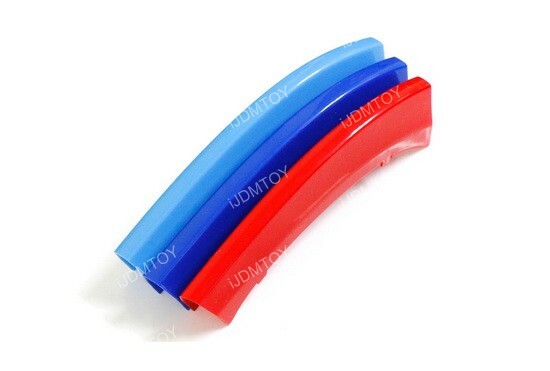 M-color grille insert trim set clips on easily and looks professional and more expensive than they cost. Very happy with purchase. Fits perfectly on my BMW 2015 X3. Fit perfectly on my 2017 BMW X4M40i. 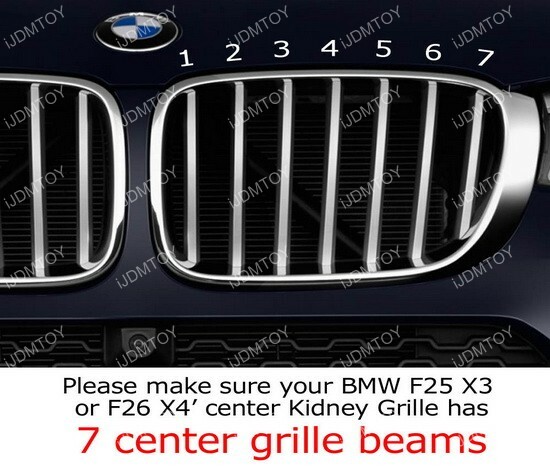 Love these kidney grille inserts! 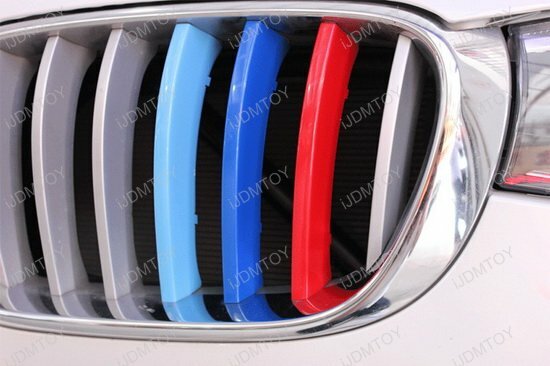 These BMW grille inserts are absolutely perfect and looks stunning on my 2013 335i M sport. 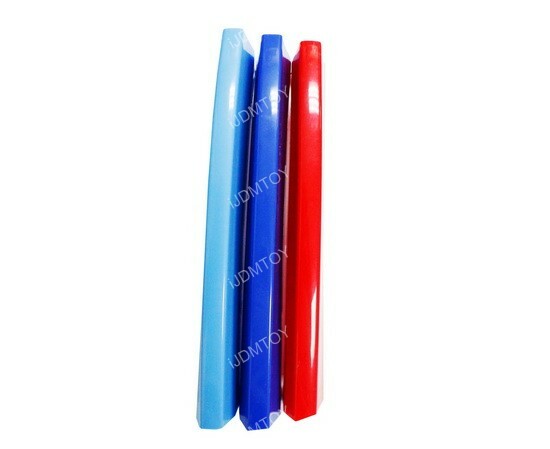 If you order the right product for your car, you should have no problem at all with installation. Clicked on the grill slots in seconds.